Hello. We are the Mental Health, Health and Social Care research group (MH2aSC) [it’s pronounced “Mask”]. MH2aSC has a primary interest in mental health, but ensure research, education and development has a deeper resonance across the wider health and social care communities. Our staff group reflects health and social care across the spectrum of services. We have a strong interest in workforce development, particularly innovation around Clinical Academic Careers. There is more information about the NHS East Midlands Clinical Academic training schemes (Bronze and Silver Awards) below . 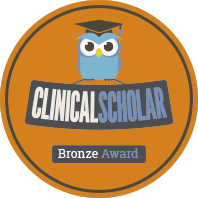 Clinical Academic Bronze Scholar Award. We are pleased to announce the opening of the Bronze Award here at Lincoln University which will be provided by members of the MH2aSC research team and invited experts. The Programme is being led by Dr Ros Kane (Reader in Healthcare) and Dr Ian McGonagle (Principal Lecturer). Health Education England (HEE) East Midlands fund up to 12 places for Nurses, Midwives, Allied Health Professionals, Chiropractors, Clinical Psychologists, Healthcare Scientists, Health Visitors, Operating Department Practitioners, Optometrist and Dispensing Opticians, Osteopaths, Pharmacy Professions, Non-Medical Public Health Specialty Trainees, Specialists and Consultants and Wider Dental Team Professions, registered in the East Midlands, to join the Clinical Scholar Bronze Awards 2018/19. For more information about eligible professionals click here. Applications are invited from clinicians in the East Midlands area (Lincolnshire, Leicestershire and Rutland, Northamptonshire, Derbyshire and Nottinghamshire) who are looking to further develop their clinical academic career. In addition we are very pleased to welcome prospective scholars from the East Of England to join the 2018-19 programme. This programme will provide the opportunity to prepare a Master’s proposal in order to take the next step on the clinical academic career pathway. Enhance your ability to compete successfully for the next stage of the Clinical Academic Pathway, such as a Masters in Research. Required to attend mandatory education and private study days (which can be taken flexibly over the course of the 9 months in agreement with the your organisation and academic mentor). Be required to attend and participate in 5 facilitated Action Learning Sets. These are sponsored awards and your organisation will be paid for your staff release to attend the programme for 48 days over its 9 month duration. Sign off the final academic report. These are high status awards and as with all competitive research awards, acceptance will be based on a selection process form applicants across the East Midlands. Application submission deadline: end of the day on 29th June 2018. Successful applications will be invited to competitive interview on 5th and 6th September 2018 . Paul is a Consultant Nurse [Acute Mental Health Care] who works between clinical practice and the University. He has been operating a clinical academic career role between the NHS and the university since 2007. He brings his current clinical practice and knowledge of mental health to aid the work of the university. He is an active member do the School of health and Social care working closely with colleagues on the pre-registration nursing programme. Within the nursing team he brings his knowledge and experience regarding inpatient, community and psychological services in mental health. His research and practice interests are in deploying therapeutic ways of responding to distress that engage with the personal, social and political contexts of health care. He is a member of the Soteria Network and is currently involved in the first wave of Open Dialogue training. Paul is also an integral member of the MH2aSC research group. He has a strong commitment to service user involvement and promotion of mental health across the health and social care spectrum of services. Hurley, J. Barrett, P. Reet, P (2006) `Let a hundred flowers blossom, let a hundred schools of thought contend’: a case for therapeutic pluralism in mental health nursing. 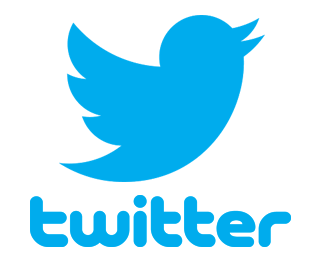 Journal of Psychiatric and Mental Health Nursing.